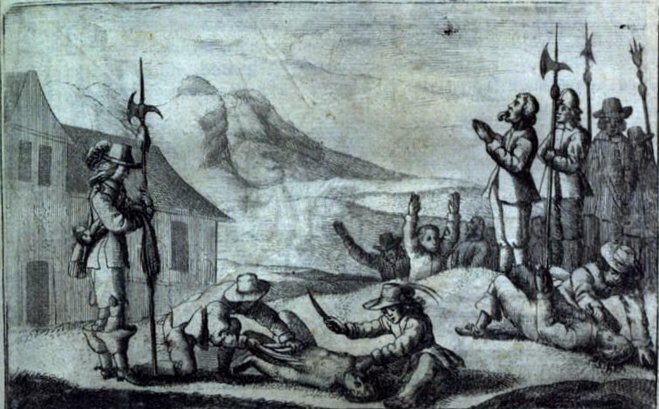 On this date in 1655, Catholic forces under the Duke of Savoy carried out a notorious massacre of Waldensians* in the Piedmont. This interesting, excommunicate sect had persisted for centuries in those hard-to-reach places in Alpine foothills, intermittently ignored and hunted. After Martin Luther, many Protestants inclined to see them as a proto-Reformation movement, or even a counter-papal apostolic succession reaching back to ancient Christianity. At any rate, they sure weren’t Catholic. 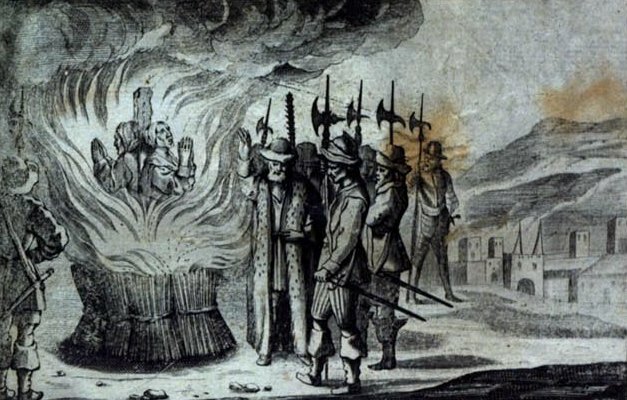 And our friend the Duke decided — perhaps piqued by the murder of a missionary Catholic priest, or for whatever other reason — to mount one of those heresy-extirpating sorties and make them Catholic in 1655. On April 17, the Marquis of Pianezza appeared with an overwhelming force of mixed Piedmontese, French, and Irish** troops. They conducted a few skirmishes, then made nice with the Waldensian civic leaders and induced them to quartering their troops temporarily further to some expedient pretext. Little children were torn from the arms of their mothers, and dashed against the rocks; or, more horrible still, they were held betwixt two soldiers, who, unmoved by their piteous cries and the sight of their quivering limbs, tore them up into two halves. Their bodies were then thrown on the highways and the fields. 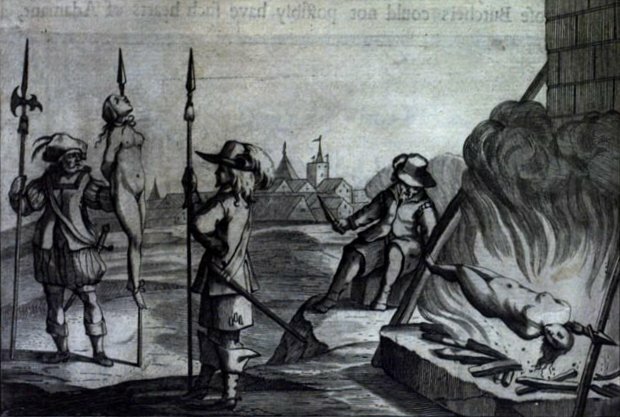 Sick persons and old people, men and women, were burned alive in their own houses; some were hacked in pieces; some were bound up in the form of a ball, and precipitated over the rocks or rolled down the mountains … Some were slowly dismembered, and fire applied to the wounds to staunch the bleeding and prolong their sufferings; some were flayed alive; some roasted alive; others were disembowelled; some were horribly and shamefully mutilated, and of others the flesh and brains were boiled and actually eaten by these cannibals. Without doubting the capacity of man’s inhumanity to man, the cannibalism charge reminds that we’re dealing with propaganda alongside historiography. And what great propaganda — like, babies-torn-from-incubators great. 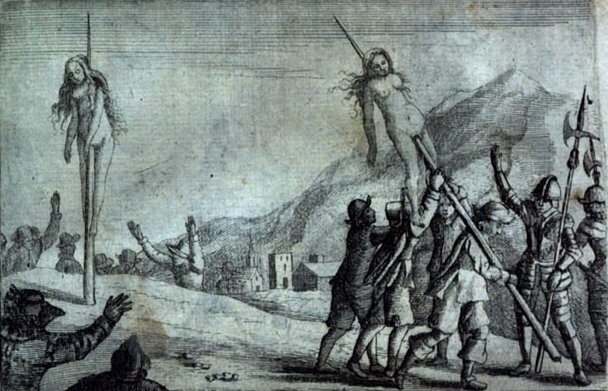 Outrage at this hecatomb spread in Protestant Europe — which would also refer to the day’s doings as the “Bloody Easter,” since it corresponded with the eve of that celebration as reckoned by the Julian Calendar (source). It was felt especially in Protectorate England, which intervened diplomatically. 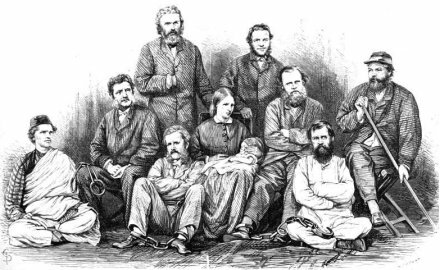 A “day of solemn fasting and humiliation” was promulgated in Albion, along with collections for the relief of the survivors. Oliver Cromwell personally put £2,000 into the kitty. 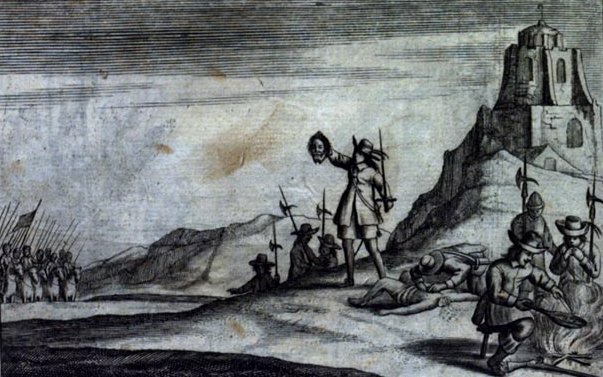 More importantly, he dispatched diplomat Samuel Morland† to force the House of Savoy to lay off the persecution; in fact, he threatened to disrupt high statecraft between England and France unless the French twisted arms on behalf of the Waldensians. Early may fly the Babylonian wo. ** Fresh from being on the receiving end of another infamous massacre. † Morland is more regarded for his post-Restoration labors as an inventor; he created an early calculator and internal combustion engine. ‡ The speech in particular is not definitively attributed; see Robert Fallon, “Milton in Government: Denmark and Savoy,” Milton Quarterly, May 1989. On an unknown date around the 560s B.C.E., the storyteller Aesop is supposed to have been executed in Delphi by being hurled from the Hyampeia rock. The semi-legendary fable-fashioner is not quite so irretrievable to history as, say, Homer, although assuredly many or all of the tales that have accrued under the heading “Aesop’s Fables” trace to origins other than this man. Supposed to have lived from the late 7th to mid 6th centuries B.C.E., Aesop is first referenced by history’s first historian, Herodotus. There are many books and media under the Aesop’s Fables branding available for purchase , but you can also find the same content in the public domain at Gutenberg.org and elsewhere. In any format, they’re timeless. “The Mischievous Dog”, for instance, could have been written especially for bloggers. * Referring to the sacred shrine occupied by the Oracle of Delphi, of course. ** When visiting Delphi, look for Hyampeia marked on your tourist map as “Phleboukos”, one of the Phaedriades surrounding the sacred site. Hyampeia/Phleboukos towers above the Castalian spring. It’s high. 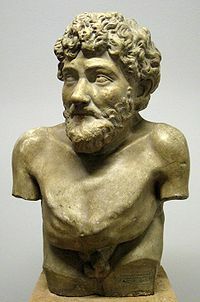 AESOP (according to Planudes, Cameraius and others) was by Birth, of Ammorius, a Town in the greater Phrygia; (though some will have him to be a Thracian, others a Samian) of a mean Condition, and his Person deformed, to the highest degree: Flat-nos’d, hunch-back’d, blobber-lipp’d; a long mishapen Head; his Body crooked all over, big-belly’d, badger-legg’d, and his Complexion so swarthy, that he took his very Name from’t; for Aesop is the same with Aethiop. And he was not only unhappy in the most scandalous Figure of a Man, that ever was heard of; but he was in a manner Tongue-ty’d too, by such an Impediment in his Speech, that People could very hardly understand what he said. 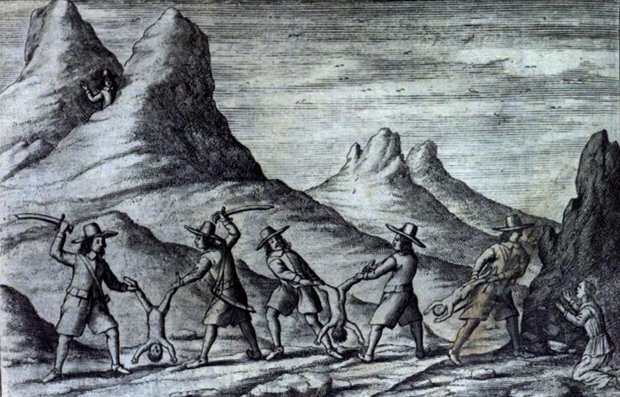 ‡ The Delphians’ search for compensation is directly described by Herodotus’ Histories, written little more than a century after Aesop’s death. Though the execution story itself could be apocryphal, its presence in Herodotus at least makes Greeks’ belief in the event as a real one of their recent past about as credibly documented as anything from 2500+ years ago. That Aesop belonged to Iadmon is proved by many facts — among others, by this. 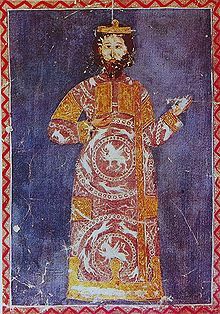 When the Delphians, in obedience to the command of the oracle, made proclamation that if any one claimed compensation for the murder of Aesop he should receive it, the person who at last came forward was Iadmon, grandson of the former Iadmon, and he received the compensation. Aesop therefore must certainly have been the former Iadmon’s slave. Evidently, Aesop’s reputation for sagacious wit was well-established in the 5th century B.C. Aristophanes makes respectful references to Aesop in his plays The Wasps, Peace and The Birds — in the latter, the birds’ ignorance is underscored because they haven’t read their Aesop.